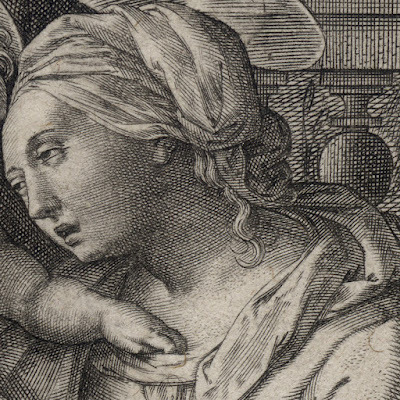 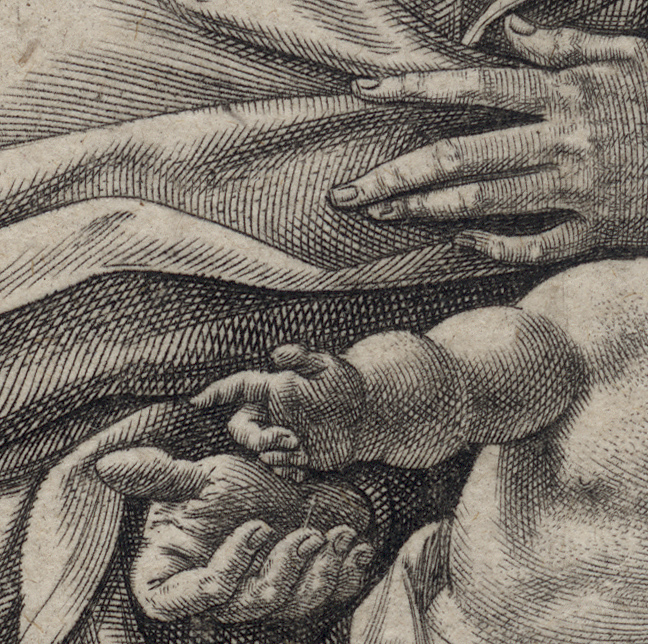 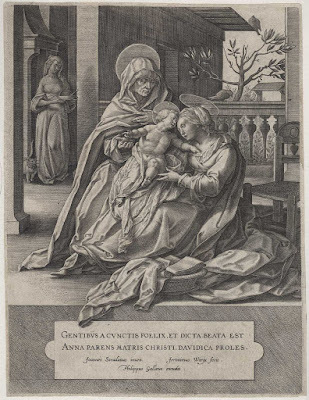 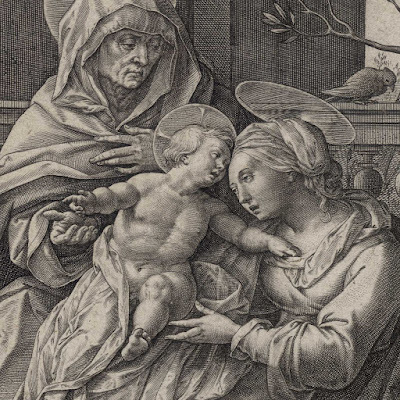 "The Virgin and Child with St Anne", c1590, after Jan van der Straet (aka Joannes Stradanus; Ioannes Stradanus) (1523–1605), published by Philips Galle (aka Philippe Galle; Philippus Gallaeus) (1537–1612) in Antwerp. 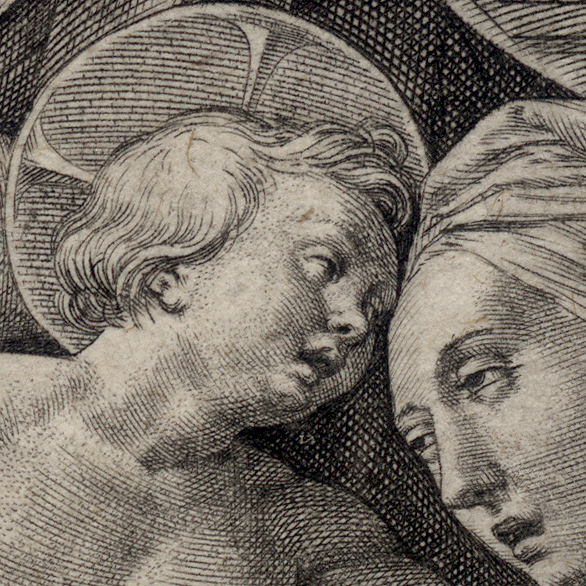 Engraving on fine laid paper trimmed along the platemark and backed with a support sheet. 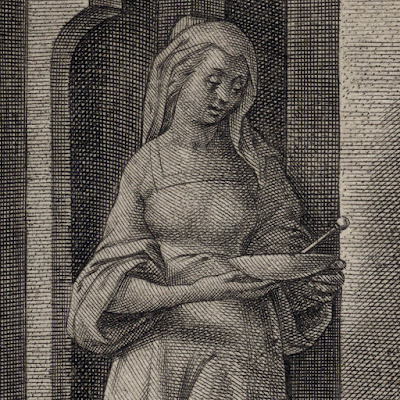 Lifetime impression, state i (of ii) before “Philippus” in the publication details is replaced with “Theodorus” and before the heavy reworking of state ii (see Mauquoy-Hendrickx 1979 457). Mauquoy-Hendrickx 1979 457 (Marie Mauquoy-Hendrickx 1978, “Les Estampes des Wierix ... catalogue raisonné”, vol. 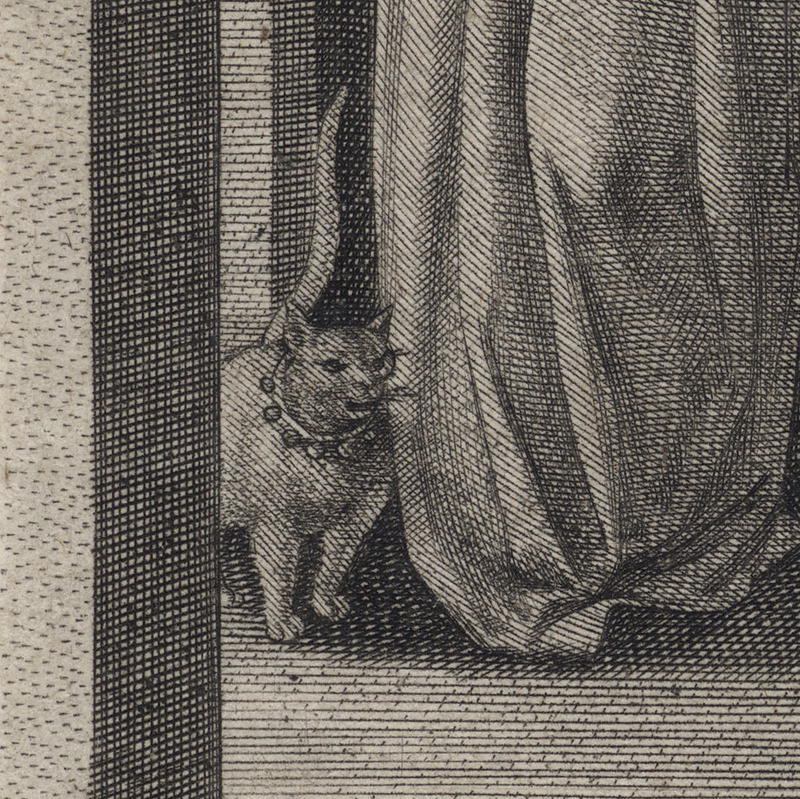 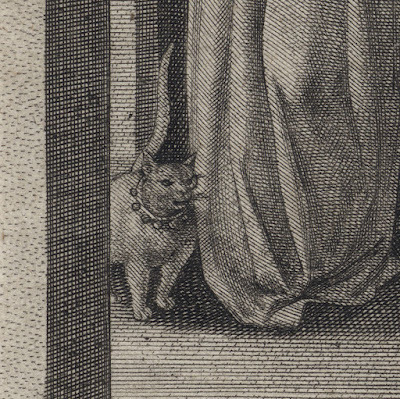 1., Brussels, p. 82, cat.no. 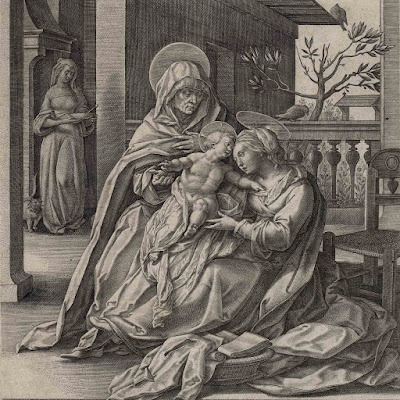 457, illus. p. 59); Alvin 1866 511 (L Alvin 1886, “Catalogue raisonné de l'oeuvre des trois frères Jan, Jérome et Antoine Wierix”, Brussels); New Hollstein (Dutch & Flemish) 183.I (Johannes Stradanus; Hollstein 751.I (The Wierix family). Condition: richly inked, crisp and well-printed early/lifetime impression trimmed along the platemark in excellent/near faultless condition. 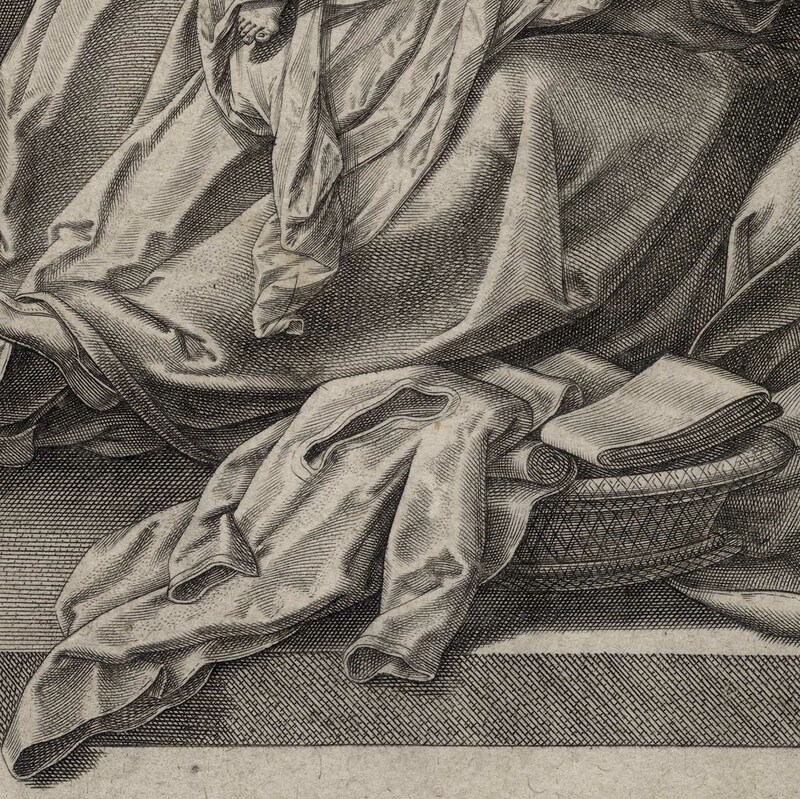 The sheet has been laid onto a support sheet of archival (millennium quality) washi paper. 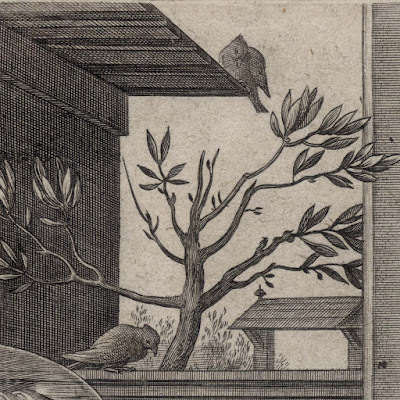 I am selling this rare and finely executed engraving by one of the most important of the old master printmakers for AU$396 (currently US$290.07/EUR254.08/GBP226.01 at the time of this listing) including postage and handling to anywhere in the world (but not, of course, any import duties/taxes imposed by some countries). If you are interested in purchasing this breathtakingly beautiful masterwork of Mannerist period engraving, please contact me (oz_jim@printsandprinciples.com) and I will send you a PayPal invoice to make the payment easy.